A cataract is a clouding of the eye’s naturally clear crystalline lens that mostly affects adults of advancing age. The lens is composed primarily of water and proteins, and over time, the proteins can start to clump together and cloud the lens. The lens is responsible for bending or “refracting” light that enters the eye, and as it becomes progressively opaque, vision can get duller or blurrier, and images may have a brownish tint. Cataracts are extremely common — according to the National Eye Institute, more than half of all Americans either have a cataract or have had cataract surgery by the age of 80. Northern Ophthalmic Associates are the trusted team for cataract care in Philadelphia and the surrounding areas. With many years of experience, our ophthalmologists use the latest technology and techniques to restore clear vision after cataracts. In its early stages, a small cataract does not have any noticeable symptoms and does not usually impede vision. However, as the cataract slowly develops, and more of the lens becomes cloudy, vision can appear blurred or distorted. Vision can also acquire a brownish tint, making it difficult to read and perform other daily activities. Though most cataracts are related to advancing age, some cataracts develop after surgery for other eye conditions like glaucoma, after a traumatic eye injury or from taking medications like corticosteroids. In the early stages of a cataract, a change in eyeglass prescription or the use of magnifying lenses can help. However, when cataracts start to interfere with daily life and visual aids fail to help, cataracts need to be surgically removed. Although laser cataract surgery and traditional cataract surgery differ slightly, the procedures share a few key steps. 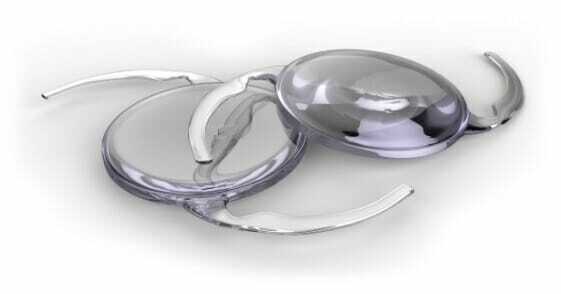 During both types of cataract surgery, the cataract-diseased lens is gently fragmented, the pieces are removed and an artificial lens is placed to restore clear vision. To diagnose a cataract, our ophthalmologist conducts a comprehensive eye exam and tests using special pieces of equipment, including a slit-lamp microscope. Refraction and visual acuity tests may be performed to assess how badly the cataract is interfering with the patient’s sight. The patient should be out of the soft contacts for three days or, if they are gas permeable, seven days. The patient’s eyes will also be dilated during the consultation. Dilation lasts between three and five hours and the patient may feel comfortable having a driver. Once a diagnosis has been confirmed, the ophthalmologist discusses the cataract surgery procedure, how to prepare for it, what recovery entails, the benefits and the possible risks. The ophthalmologist also reviews the available lens implants and helps the patient select the implant that is best for his or her visual needs, goals and lifestyle. Patients can ask any other questions they have about cataracts or the surgery. The surgical operation itself takes about 10 to 15 minutes and is not painful. Numbing eye drops and IV sedation are used for complete patient comfort. After the procedure, a special patch is placed over the eye to protect it. Patients can return home the same day of surgery, but they cannot drive themselves. The eyes may itch or feel uncomfortable for a day or two after surgery. A special eye shield or eyeglasses must be worn to protect the healing eyes. Drops should be used to reduce the risk of infection and help the eyes heal. Complete healing can take up to eight weeks, but most patients see clearly after a few days. Cataract patients can choose from a variety of intraocular lenses. Some lenses restore vision at a single fixed focus (e.g., near or distance) and others restore vision at a full range of distances. Special lenses offer presbyopia or astigmatism correction. The cost of cataract surgery is discussed at the time of the consultation. Insurance companies usually cover cataract surgery with certain lens implants, but patients may need to pay a premium for lenses with special features. For more information about cataract surgery at Northern Ophthalmic Associates, please call or email our practice today.